Left: Alice Austen, June 1888. Photograph by Captain Oswald Muller. Courtesy of the Staten Island Historical Society. Right Christian Lacroix for Schiaparelli. Scanned from Vogue September 2013. 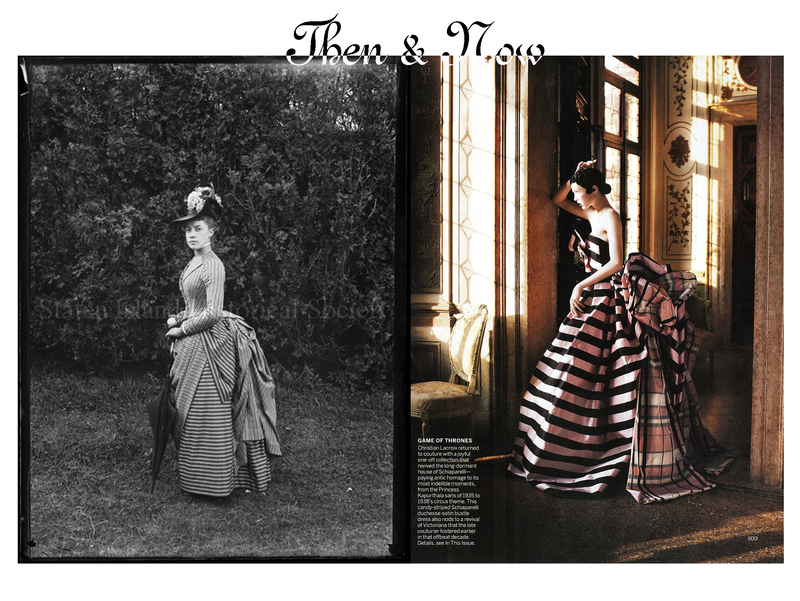 This entry was posted in Then&Now and tagged Alice Austen, Christian Lacroix, Elsa Schiaparelli. Bookmark the permalink.